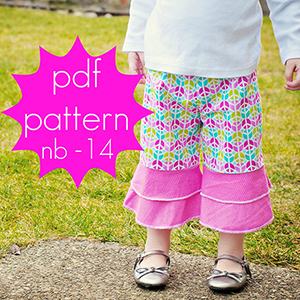 These pants have the look of ruffle pants without the hassle of gathers and ruffles. The pattern offers 2 length options and single or double flounces. Slightly fitted at the waist and thighs and flares out below the knee. Full elastic waist for easy dressing.